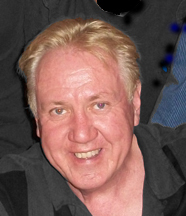 John Wood is well-known and well-respected as a reviewer and judge of children's music. He served as the kids' music reviewer for United Parenting Publications and its more than 100 publications for 15+ years and as the music judge for the National Parenting Publications Awards (NAPPA) for 14 years. John is a delightful critic whose depth of knowledge about kids music exceeds that of most. John is artificially talented and has been around the block so many times he’s run into himself twice. In 1972, John co-founded the performing group J.P. Nightingale which has logged over 8,000 performances in every conceivable environment except deep space (simple, no oxygen!). He created and produced the annual Theatre Arts Festival For Youth (TAFFY) festival for 10 years in Agoura, California and co-hosted "Open House At The Hollywood Bowl" for 22 years. John has worked in post production for film and television and is a partner in a script development company, CineCal Entertainment. He wears 10.5” size shoes and his weight fluctuates. Little known fact: he is still an English citizen. John Wood's kidzmusic.com site reviews music for children (birth to age 12) to help parents make informed decisions. Their credo is: We at Kidzmusic.com believe that in order to successfully promote the importance of Kidzmusic Artists and what they do, we must create and maintain an open dialog among the artists, critics, idealogues, parents and ultimately the child. In the interest of moving forward, we have created the Kidzmusic Blogopottamus, which we hope will become an aggregation of the most important and meaningful blogs about kidz music, and we encourage all to either comment on our current blogs or feel free to contact us so that we may publish theirs.